Sputnik: Now that the interview has been aired, what position does it put the UK in? Anneke de Laaf: The interview puts London on the defensive. They will have to disprove every statement the two men have made, if they are to remain at least somewhat credible. The narrative they are pushing is quite incredible and difficult to accept for anyone who is well informed. They tried several explanations before they settled on the "perfume bottle" as the method of delivering the poison onto the door knob to poison Mr. Skripal; we all saw the unprotected police officers standing guard at the Skripal residence, the supposed motive is tenuous to say the least. And the fact that they refuse access to the Skripals is not helping their case. Now we have two men who don't sound or act like ruthless military assassins, who give facts which are easily verified, the snow trouble on the days concerned, the visit to the cathedral, holiday trips to France. Every one of those facts which gets verified erodes their narrative further. They realize this of course, which explains their reaction. Sputnik: What reaction are you expecting from London, and the Western community for this matter? Anneke de Laaf: London (and its allies) have already reacted, by trying to ridicule the statement and call it contemptuous propaganda on a state sponsored TV network; they predictably chose the offense as the best defense. I first read this on the Dutch state sponsored news network NOS, by the way. The interview is also ridiculed and dismissed on British state-sponsored news network BBC, as "carefully choreographed and bizarre." Somehow they don't consider their charge against RT cynical. Sputnik: What do you make of London’s attempts to present the two as GRU agents and imply that the Skripal attack was approved at a senior level of the Russian state? Anneke de Laaf: The whole aim has clearly been from the start to implicate the Kremlin somehow. Analyst have suggested that this is currently linked to the Syria situation, which seems plausible. And Skripal certainly isn't the first case, there were the Litvinenko allegations (no motive, no proof which would stand up in court) and just today it was announced here and in Switzerland that Dutch authorities arrested "two Russians spies" who were "planning to hack the Swiss laboratory" where the alleged Syrian chemical attacks and the Skripal poisoning are being investigated. It's like mud throwing: if you throw enough, some will stick. As long as they manage to persuade a sizable portion of the public that the Russians are up to no good, they win. Even if they cannot win a single case in court. Sputnik: With the latest developments in mind, where is the whole Skripal saga is leading us? Anneke de Laaf: I don't think it will be resolved anytime soon. And of course for London it doesn't need to be resolved. Litvinenko can still be used to accuse the Russians anytime they like and I can see the same thing happen with Skripal. It will have an impact on the relations between London and Moscow of course, and if Brexit is ever implemented, London may come to regret their aggressive attitude yet. British businesses may find they are no longer as welcome as their competitors. 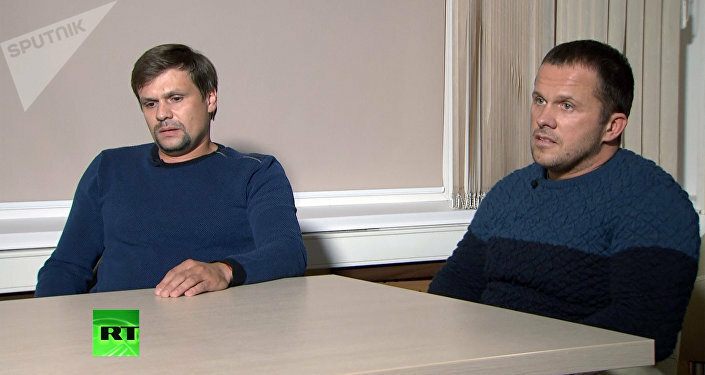 Crucially the situation will impact the people directly involved, Alexander Petrov and Ruslan Boshirov, who will no longer be able to travel abroad, either for their business or vacation, and who have no realistic way of fighting the allegations of murder made against them, and of course Mr. Skripal and his daughter, who are being held by the UK government at some secret location and not allowed to communicate with anyone, not even Mr. Skripal's mother. I think all four have good grounds to fear for their lives — and not because of any action the Kremlin may take against them. Views and opinions expressed in this article are those of speaker and do not necessarily reflect those of Sputnik.